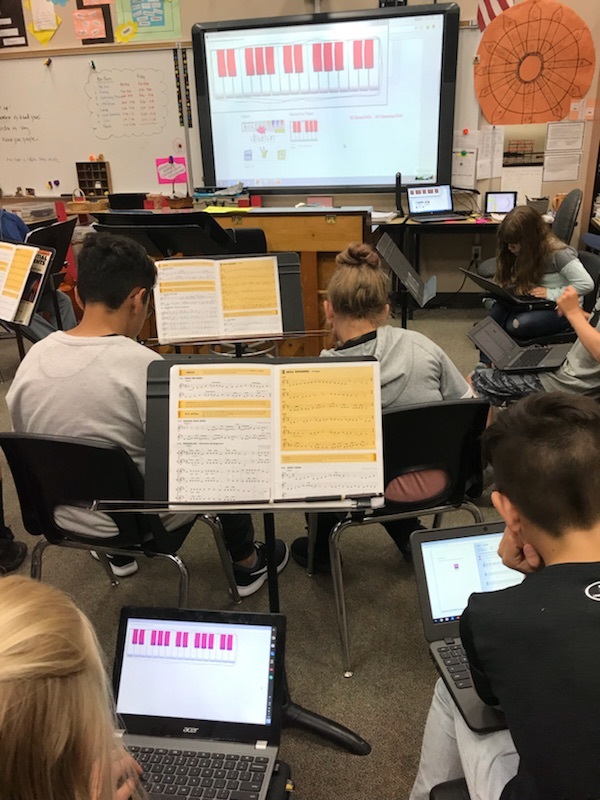 When Thunder Mountain Middle School adopted a 1-to-1 technology initiative to better prepare students for the digital world, music director Sarah van Vegten started to explore how these Web-enabled devices might enhance student learning and shed some of the paperwork. 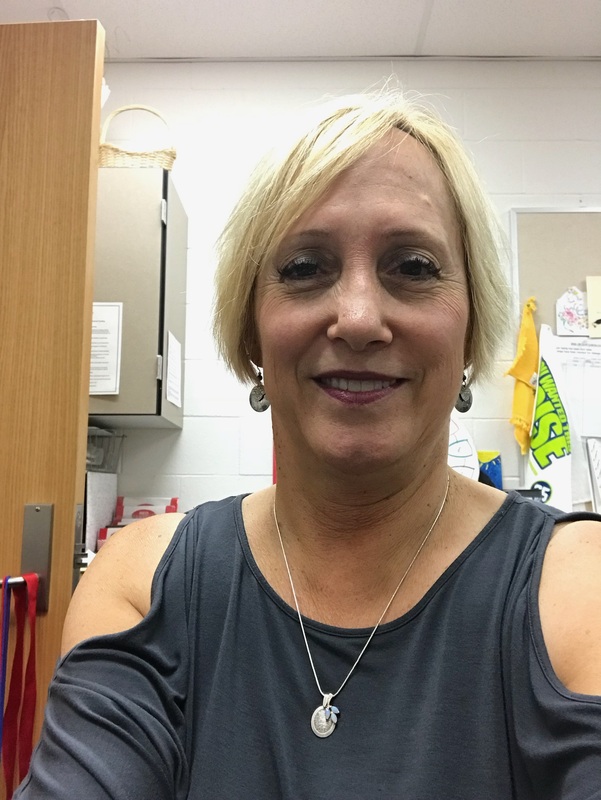 At the same time, she was facing a challenge that many music teachers know all too well — her sixth-grade music elective enrolment numbers were declining. 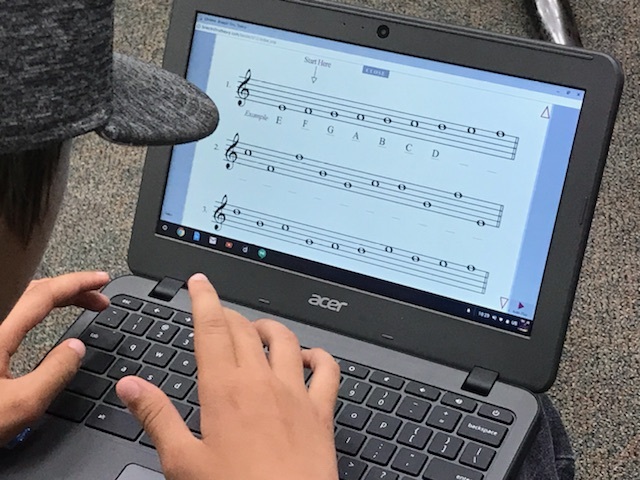 The students have one elective choice, and can either opt to take a year-long music program or to switch things up and try different elective options that rotate each semester. It’s a real commitment to be in music. They need to practice, often after school when there may be extracurricular activities or sports.” Sarah acknowledges. Sarah decided to merge the band and orchestra classes and instead offer a music exploratory class. Her goal was to equip the kids with foundational music theory in the first trimester BEFORE they picked up an instrument. Then they would choose a band instrument in the second trimester and go onto orchestra in the final trimester. 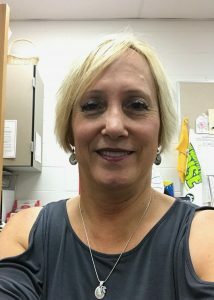 The idea behind getting into the theory work first was that a grounding in musical literacy would help her students understand the fundamentals of music and, subsequently, accelerate the ability to learn to play an instrument. It was just perfect,” Sarah recounts. “It got the students reading music before they even had an instrument in hand. So, they didn’t have to learn that part at the same time as being taught how to hold the instruments and play notes on it. Perhaps more importantly, her kids were having a blast. Teachers sometimes worry that any theory instruction will be met with groans from the students. But that wasn’t the case with Breezin’ Thru Theory. “The kids got right on it. It’s simple to use, the lessons are easy to understand, and the students are assessed immediately. They can work on it on their own, or with a partner,” says Sarah. Sarah uses her in-class Promethean board to display the daily target and success criteria. When the kids saw a green symbol on the board, they knew immediately to get their Chromebooks out and log into Breezin’ Thru. Together both teacher and students walked through the lesson, before going onto the drills. And, what the students were able to achieve was equally impressive. “Even though they only started to learn an instrument near the end of the first trimester, and played for three months, the students progressed so much further because they could read music,” states Sarah. Many of the kids decided to keep playing, and so the numbers are increasing, which was the purpose of this new program. I don’t know what I would have done without Breezin’ Thru Theory.